"The aim is to inspire the next generation of creative thinkers at a pivotal point in their education, helping to expand the minds of young people and encourage teenagers to dream of ambitious futures where they can bring creative magic to all aspects of society". 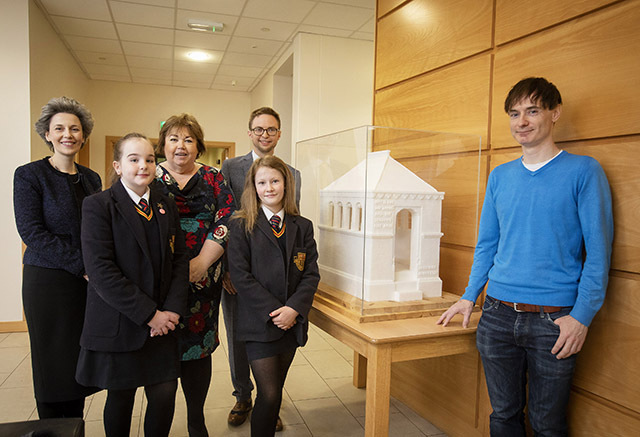 “The Department for Communities is delighted to be able to support the Art Lending Scheme for Schools by the Arts Council. It is a wonderful opportunity for young people to view, interpret and be inspired by ‘real’ works of art in the classroom while allowing local emerging artists an opportunity to showcase their work”. “Many of the artists represented in the Arts Council’s contemporary art collection have major national and international reputations, such as two-times Turner Prize nominee, Willie Doherty; Cara Murphy, whose work is included in the Downing Street Sliver Collection; and Colin Davidson, who painted the Queens’ portrait in 2016, Brendan Jamison, Ian Cumberland, and Paul Seawright. Interested schools should visit www.artscouncil-ni.org/collection for further information or call 028 9262 3555.